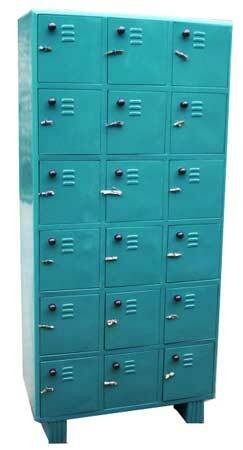 We present you an unmatchable quality of Door Industrial Lockers. We provide our Door Industrial Lockers with unique secured locking system, which makes your things very safe. The Staple locking system in the Lockers is made using 22 G CRC sheets. We pack our Locker cautiously to ensure the safe delivery of the product. 18 Door industrial locker. 78" x 36" x 19"